Get close to nature and feel it with all of your senses in a canoe. See the world from a different angle – from the surface of the water. Canoeing is suitable for almost everyone: the old and the young, the experienced and the novices. Kipinäkota organizes guided canoeing tours. Canoes and other equipment are also available for rent for independent travelers. A guide book is available for ‘Tervareitti’, or the Tar Route. We begin with the basics: how to step into the canoe, how to sit in it properly and how to paddle. Our family-style canoes are wide and stable, and rarely tip over, but we practice what to do in case of a fall into the water, just in case. Everyone is fitted with a flotation jacket before the tour begins. The tour departs from the Onnentupa shore in Nykälänniemi. We make our way to the northern parts of the lake, where we paddle around calm bays and islands. Prepare to see birds: the species commonly encountered on this tour include great crested grebes, mergansers, common goldeneyes, sandpipers and terns. The guide will introduce you to the fascinating history of the area. We keep a peaceful pace and take breaks in order to enjoy the surrounding nature. Before the tour, we go through the basics of canoeing and train on the equipment you’ll be using. We depart from the Onnentupa shore and choose our direction depending on the weather. The calmest waters are found in the northern parts of the lake. 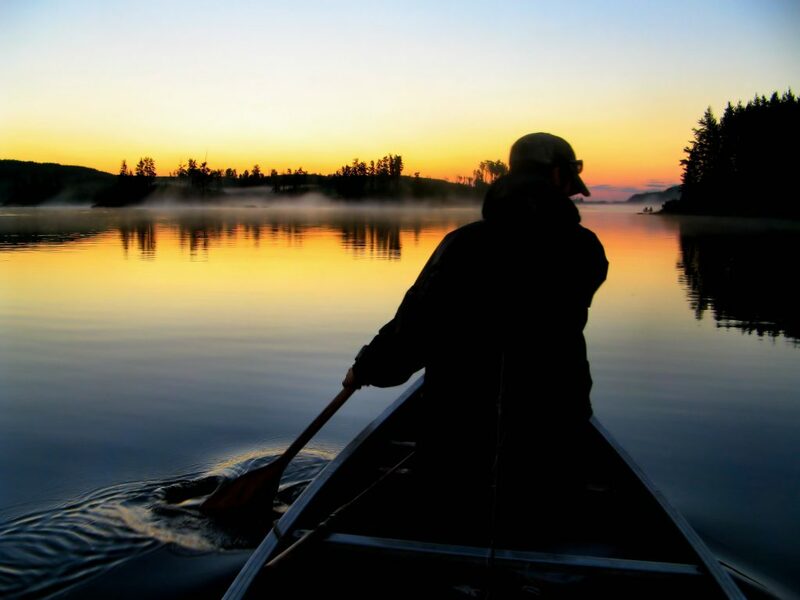 Once on the water, your guide, a trained 3Dream™-coach, will introduce you to mindfulness exercises to perform while canoeing. Additional exercises are provided as the tour progresses. The goal of this tour is to let your brain unwind. The mindfulness exercises will be useful to you after the tour is over as well, whenever your mind needs to take a break from the constant stream of stimuli we are bombarded with. The exercises are efficient stress relievers and will help you feel good about yourself. This is a shorter canoeing tour, designed for families with small children. The tour’s duration is approximately one hour. One canoe fits two grown-ups and 1 to 2 children, depending on the age and size of the children. A guide is always present. Equipment available for rent for independent travelers, click HERE.